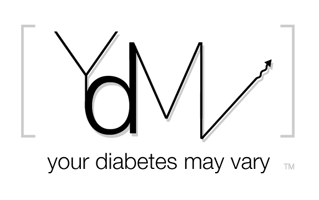 I am happy to announce that Your Diabetes May Vary is now a HON Certified site. I try to be trust worth and transparent, if at time a loony, patient / caregiver voice. HON creates a structure that respects and allow me to pledges to honor the following 8 principles of the HON Code of Conduct (HONcode). YDMV's about section contains most of the details of how YDMV seeks to stay in compliance with these principles. It has taken the better part of a year from application to certification. I am fine with that. I appreciated the detail of question they posed and the refinements in my about section that those questions inspired. I encourage other to seek certification too. I do respect those who choose to behave ethically and still choose not to seek HON Code certification. Certified or not, I think the principles provide a good outline of what those using the web can look for, in the online conversations about health, as a measure transference and trust. The internet is a wild and crazy place to talk about health. Doing so to agreed upon standards helps sort out that wild and craziness a little. Just to show that I am always learning new things, I had never heard of or paid any attention to HON certification until Saturday at the JDRF Reach & Teach in Minneapolis. A pediatric endo talked about it in his discussion about online care and communication with patients. So I know what you're talking about and I suspect that I will start noticing it when I visit other HON code sites. Good work for getting the certification. Hyper is an understatement, Brilliant Makeup.